This is a more old fashioned dish – but still a fan favorite and these eggs are great cut up in salad, served as a snack, or placed on an appetizer platter. Drain beets and reserve for another use. Pour liquid in a saucepan and add vinegar, sugar, salt, bay and cloves and bring to a boil Stir to dissolve sugar. Remove from heat, add onion rings and let sit 1 hour. Place eggs in a pan and cover with cold water. Bring to a boil over medium heat and let boil 2 minutes. 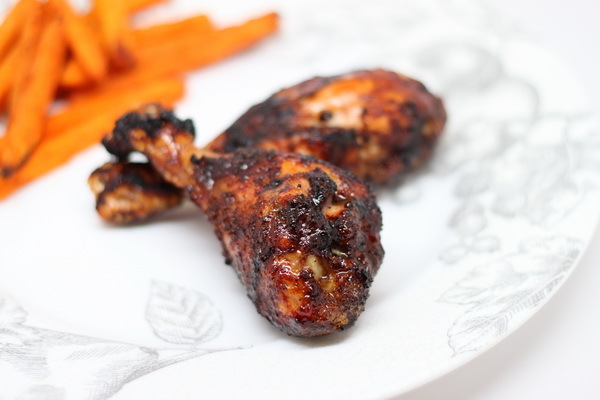 Shut off heat, cover and let sit 11 minutes. Then rinse in cold water. (By the way – this is the recipe for a PERFECT hard boiled egg!!) 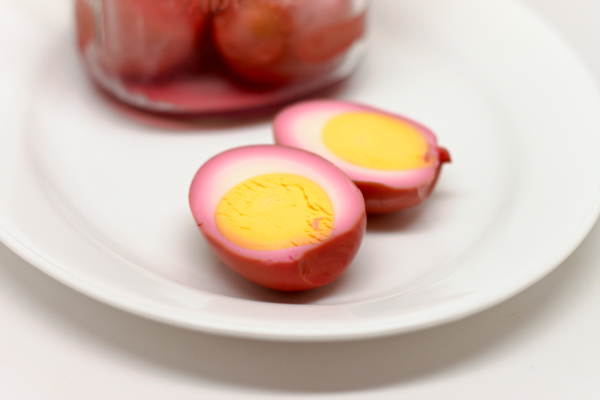 Peel eggs and place in a deep jar and pour over the liquid and top with the onion rings. Refrigerate for 24 hours then remove onions (you can use these on burgers). I remove the eggs from the liquid at this point – you can keep them in the liquid if you wish. These will store well for 3 days. 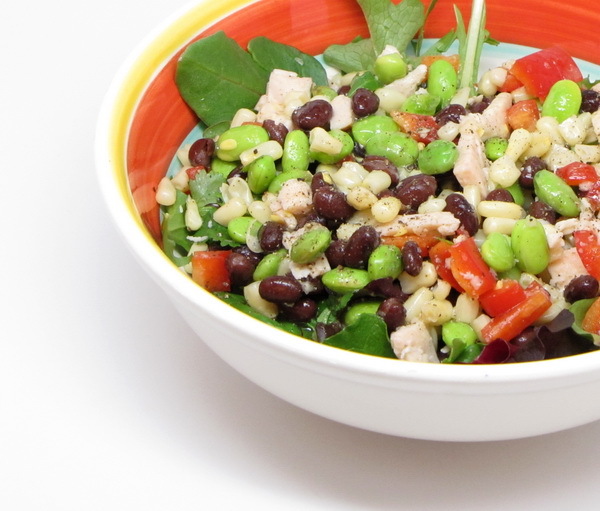 Mix the turkey, beans, corn, edamame, bell pepper, cilantro, garlic, salt and pepper. Whisk oil, vinegar and mustard and pour over the turkey mix and season with salt and pepper. Place mixture over the lettuce and serve immediately. Did somebody say BACON???? Hehehe The bacon in this dressing gives the dish a nice rich flavor. But mostly what you taste here is the ground mustard. 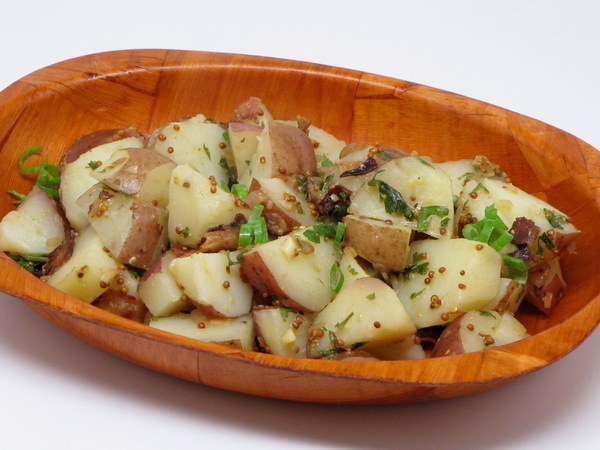 If you’re a mustard fan, then you will love the taste of this potato salad. Steam potatoes 20 minutes or until tender then cool for 10 minutes. Cook bacon 3 minutes and then add onion and garlic and cook until crisp then reduce heat to low and add vinegar, juice, mustard, parsley and salt and cook 2 minutes. Pour over the potatoes and toss well. Garnish with scallions and serve immediately. 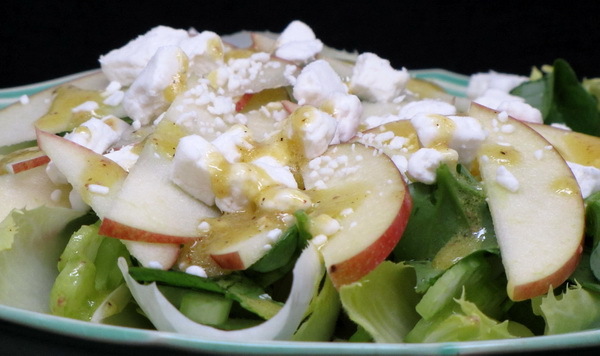 A sophisticated blend of endive, watercress and apple that cures boring salads ! Mix dressing. Core and slice endive. Remove thick stems from watercress. Slice celery and apple thinly. Mix together and add dressing. Add 2 T crumbled goat cheese for only 40 calories more.